By now, most of our patients have become familiar with the Coolsculpting by Zeltiq procedure. The Coolsculpting procedure reduces fat by cooling it. Ideal candidates for the Coolsculpting procedure have discrete and localized fat bulges on the abdomen, love handles, inner thighs, and back. Coolsculpting treatments result in noticeable and natural looking fat reduction in the treated areas. This in turn results in an improved and more attractive body contour. Following a Coolsculpting procedure, it takes approximately three months for the final result to become visible. For this reason, any of our patients who wish to reduce their fat bulges before the summer (without having surgery or liposuction) should have their Zeltiq procedures performed soon. That way, the results will be visible by the time we head into the summer months. We invite any of our patients who may be interested in having a Coolsculpting procedure to call our office at 310-829-9396 and make an appointment for a Zeltiq consultation. Although the regular price of Zeltiq Coolsculpting is $750 per area, we will continue to honor our discounted Zeltiq price of $650 per area until April 30, 2011. 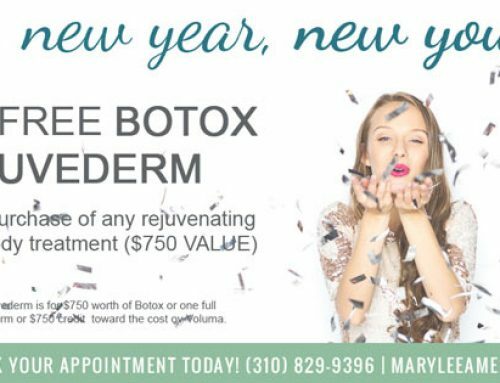 For a limited period of time and while supplies last, our Botox patients can receive a $100 discount on their Juvederm treatments when the Botox and Juvederm treatments are done during the same appointment. 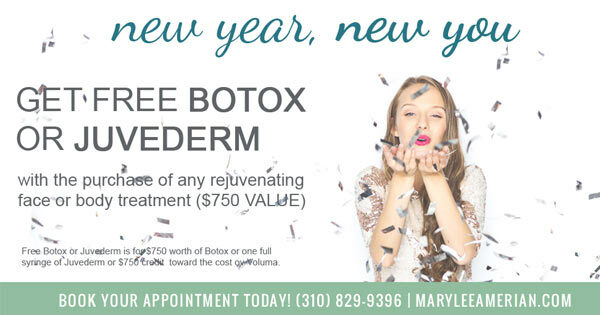 Any of our Botox patients can take advantage of this opportunity, whether they have had Juvederm in the past or not. Juvederm is an FDA approved dermal filling agent that is used for the correction of facial wrinkles and folds. Juvederm is a technologically advanced formulation of hyaluronic acid, a naturally occurring substance found in the skin of every human being. It is very safe and effective in patients of all skin types and all skin colors. Virtually everyone who has facial wrinkles or folds in need of correction will benefit from Juvederm. The most common areas treated are the facial folds between the nose and mouth (the naso-labial folds) and the folds between the mouth and chin (the melo-labial folds). Results are visible immediately. Juvederm has a long duration of effect, with results typically lasting for at least seven to eight months and for up to a year in some patients. In our office we have used Juvederm for years on hundreds of patients. Our patients have truly enjoyed the cosmetic enhancement that Juvederm has provided. Our patients who have signed up for Brilliant Distinctions will receive their $100 discount at the time they check out. Patients who are not members of Brilliant Distinctions will receive a $100 mail-in rebate coupon. We encourage all of our Botox and Juvederm patients to sign up for Brilliant Distinctions, if they have not yet done so, in order to receive savings on future Botox and Juvederm treatments. All of our Botox and Juvederm patients should take this opportunity to enroll in the Brilliant Distinctions program. Allergan, the Fortune 500 Company that manufactures Botox and Juvederm, sponsors this program. The program functions just like an airline frequent flyer program. Points are accumulated after every Botox and Juvederm treatment. The points are then redeemed for coupons that result in significant savings on future Botox and Juvederm treatments. The amount of the savings depends on the number of points that have been accumulated. If you are not yet a member of Brilliant Distinctions, you can take advantage of these savings by signing up for the program. Simply click on the link below to enroll in Brilliant Distinctions. Once again, we are proud to announce that Dr. Amerian has been selected by her peers as one of L.A. Magazine’s “Super Doctors” for 2011. Selection as a “Super Doctor” is made based upon the recommendations of practicing physicians and other medical professionals. Dr. Amerian also received this honor in 2009 and 2010. In 2011, only 34 dermatologists in the Los Angeles area were chosen to be Southern California Super Doctors. Thus, it is quite an honor to be selected. We are proud to announce that our practice has been selected to be in “Top Doctors and Dentists Los Angeles.” Selection to Top Doctors and Dentists Los Angeles is based on recommendations from other medical professionals and on actual patient reviews. Professional qualifications, reputation, and interpersonal skills are also factors that are used in the selection. We send a special thank you to all of our medical colleagues and patients who recommended us so enthusiastically for this selection.